The reservation should be sent by fax, mail, or e-mail. The reservation is effective only if you have received a confirmation of Sapa Adventure and upon your payment of deposit. One child under 10 years is generally granted a reduction of 50% of the tour price, proved that he/she is accompanied by at least two full paying adults and stays in the same room. An extra bed is provided free of charge. A non-refundable deposit of 10% of the tour price is required upon confirmation of your booking. (If this amount is less than $100, a $100 per person deposit will apply). Once a deposit is received it is understood that you have read, understood and accepted all our Terms and Conditions. Full payment of the tour balance must be paid at least 1 month (30 days) before the starting date of the tour. In the event of the full payment not reaching our account by the due date, we reserve the right to cancel all reservations and the contract between us. More than thirty (30) days prior to departure: The total deposit paid to us less the administrative fee in accordance with canceling advanced arrangements, will be valid for one (1) year from the date the deposit was received. During this time (365 days) the amount can be applied to other tours and services. After one (1) year the deposit amount is forfeited. - Less than thirty (30) days prior to departure: Complete forfeiture of deposit, due to hotel charges we incur for guest no-shows. No refunds will be made if you voluntarily leave a trip for any reason after the trip has begun. Trip insurance is required for our trips. An insurance policy number for our all-inclusive travel insurance, which includes trip cancellation, medical, and other coverage, should be confirmed upon your trip departure. Travel documentation is sent electronically by email. Normally 48 hours after we have received your booking form and deposit we will send you your trip documents which should be printed out by participants and retained as a receipt. 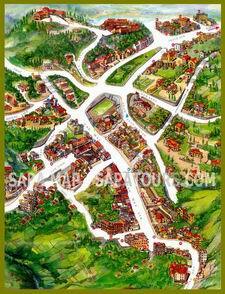 Sapa Adventure also requires the following information: passport number, date of birth, and nationality. No refunds nor exchanges can be made in respect of accommodation, meals, sightseeing tours, transport or any other services which are included in the tour prices but not utilized by the tour member. Sapa Adventure is not responsible for any loss, injury or damage sustained by passengers. Additional expenses incurred due to delays or postponement, accidents, inclement weather, political restrictions or any other causes must be covered by the passengers. Passengers are required to have full travel insurance covered. This include trip cancellation, medical emergency evacuation, and other coverage. Airline schedule, train timetable and local conditions may affect accommodation and itineraries, should this occur, Sapa Adventure will endeavor to substitute a suitable arrangement of similar value.